The average spend on YouTube from the top 100 brands, such as Apple, Coca-Cola and IBM, has increased by 60 per cent year on year, according to Google. Google looked at the top 100 brands, as defined by the Interbrand 2014 Best Global Brands ranking. It lists the top five brands as Apple, Google, Coca-Cola, IBM and Microsoft. The number of the top 100 advertisers investing in video has risen by 40 per cent year on year. Google found that views of branded content of the top 100 brands have almost doubled in the past 12 months. The 100 brands have racked up more than 40 billion views in total, and more than 18 billion of those views were recorded in the past year. "Subscriptions for brand channels have also increased by 47 per cent year on year. Google’s research said that advertisers are creating content particularly for YouTube. 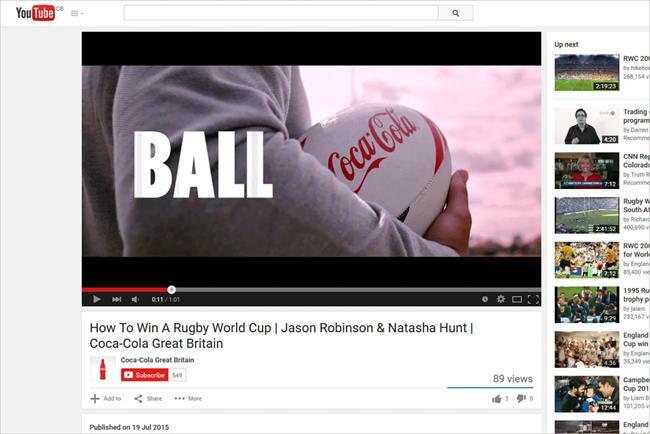 Last year 10 per cent of the videos posted by the top 100 brands are more than ten minutes long. Bulbul said: "They’re actively managing their YouTube channels, and publishing new content on a regular basis to engage viewers and keep them coming back." Do we really want to embrace Beme's unedited reality?